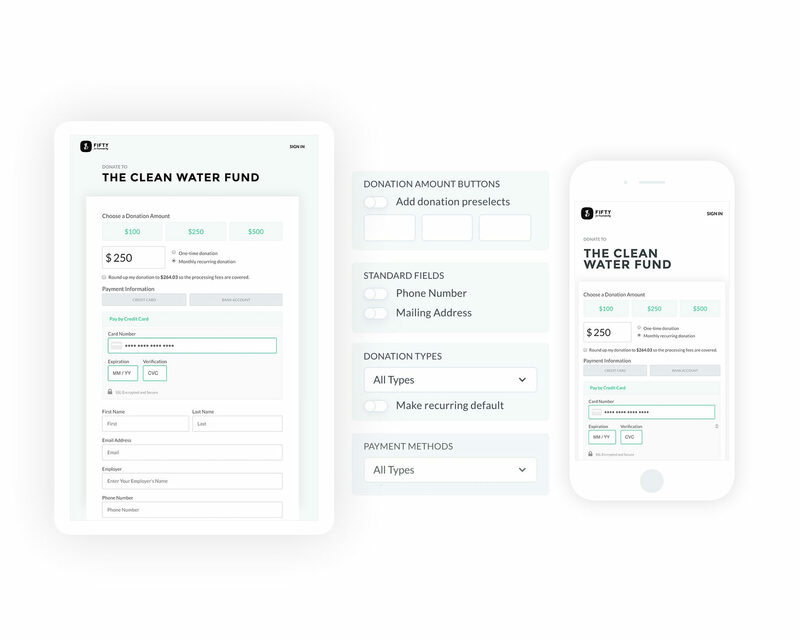 Fully responsive donation pages, donation forms and fundraising dashboards for a mobile world. Our mobile responsive donation pages & donation forms are designed to look great on every device. 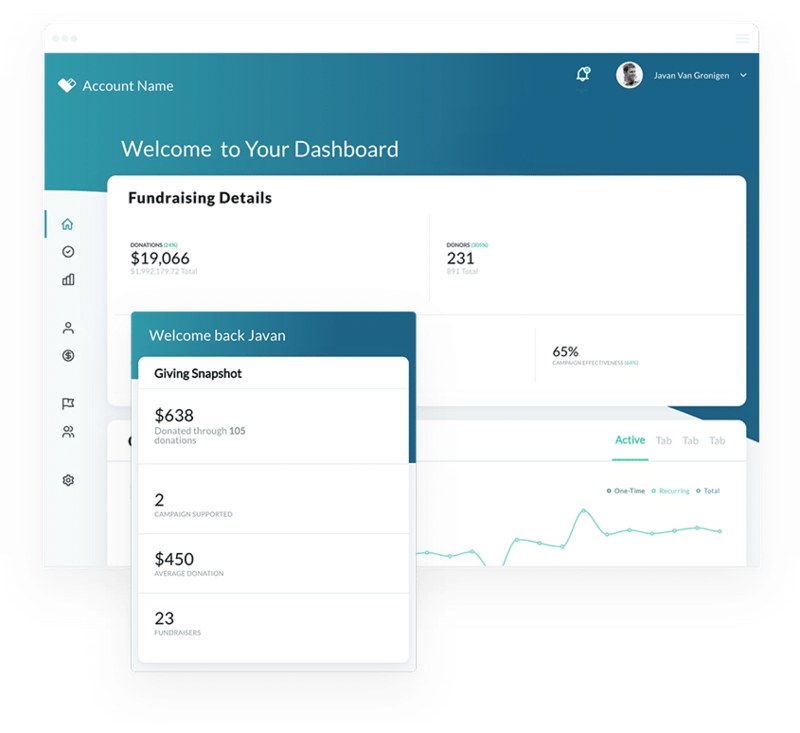 We know donors are giving to your cause on every device, so all parts of Donately will look great from the palm of your hand to your desktop. Never again worry about losing donations on your online fundraising campaigns due to poor formatting or unreadable text. 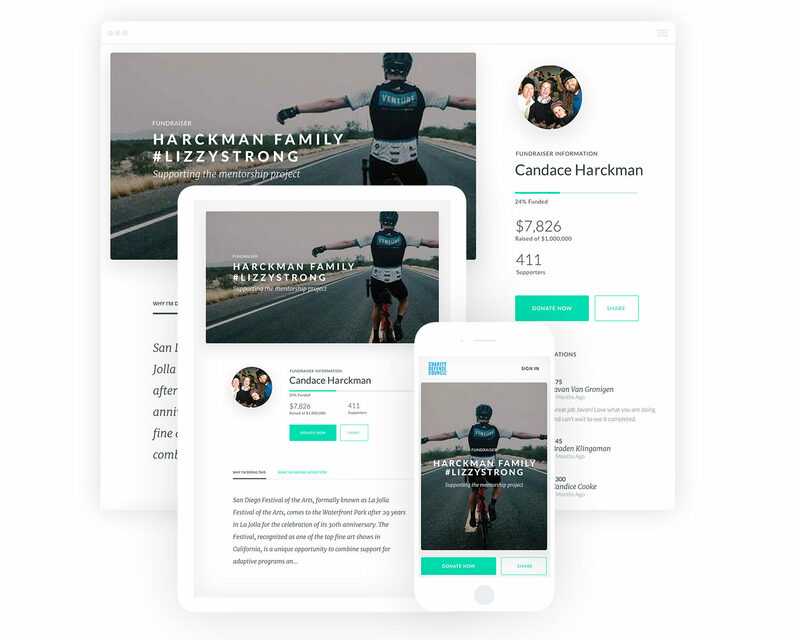 Our donation pages and peer-to-peer fundraising pages were designed to be responsive, no matter what device your donors may be using. From a large desktop monitor to a smartphone, we'll make sure your content looks beautiful and helps drive more donations. Donately's donation forms are also fully responsive, so your donors will always have a good experience when donating to your cause. Never worry about a donor seeing poor formatting or unreadable text when giving from the palm of their hand. Both our administrative dashboard as well as our donor dashboard are available on mobile devices. No matter where you are, and no matter what device you're on, you'll be able to manage your giving.